The San Pedro House of Culture, which was inaugurated last November, is reporting a break-in at the building located on Angel Coral Drive. 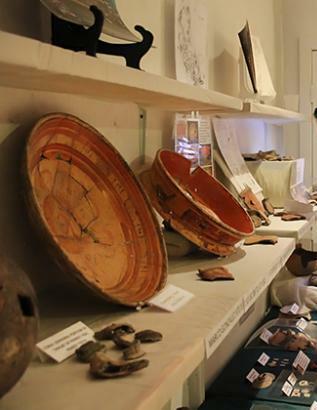 Thieves made away with an assortment of valuable artefacts. According to the police, a long list of items were stolen including two conch shell rings, three stone axes, one ink pot, a rare jade ear flare, three net weights, two arrow heads, a Loom Weight and a Conch shell Spoon. Fifty-six year old manager, Guillermo Paz, says that he secured the facility last Friday and returned on Sunday to find that the front door had been forced open and the items were missing.